YEC, GT, AoA, OEC, ID, PC, EC, TE? 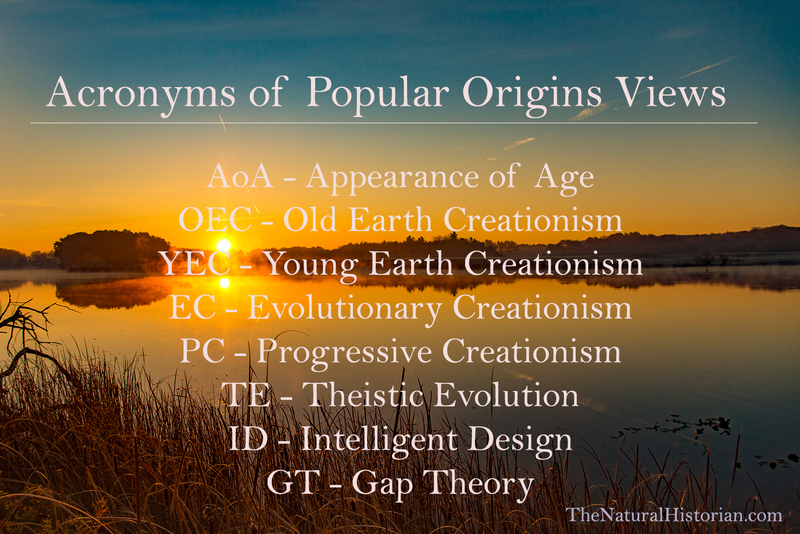 These acronyms refer to theistic models of earth’s biological and physical history. Do you know which models each of these letter combinations refer to? If so, do you know which one best characterizes your view? If you don’t—or if you don’t know, or are not sure, into which category your beliefs fit —take the polar bear test and identify which model of biological origins best reflects your understanding and beliefs of how God created biological diversity. Look at either polar bear cub above and ask yourself: What is the origin of this polar bear? All Christians agree that this polar bear was created by God, but how? We can all agree that this particular polar bear cub had parents that were polar bears (we can see the mom right there next to it!). Those parents donated sperm and egg that passed along the hereditary information—the instruction set—that was used to make this polar bear. But what if we were to go back into time, generation by generation. How many generations—how many years—back would we have to go to find the very first polar bear? What would that polar bear have looked like? How was that first polar bear created? How you answer these questions reflects your understanding of creation and interpretation of scripture. Everything has an origin. Even cartoon characters. 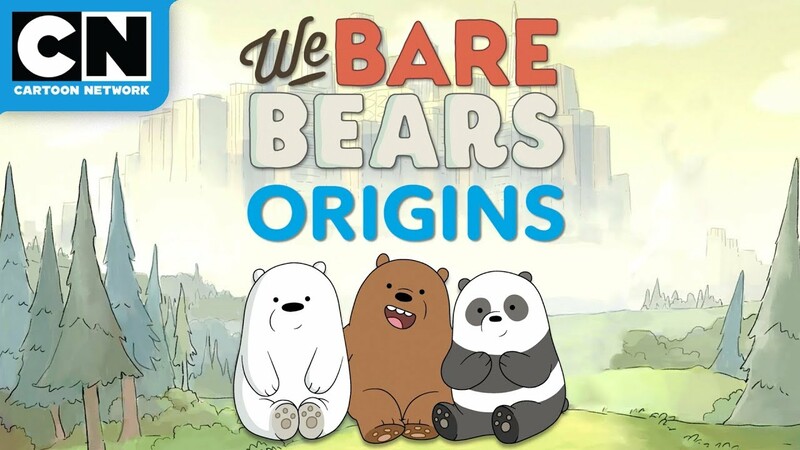 In this episode, the Cartoon Network explored the origins of the bears who are stars of one of their shows. In this case we know the story they tell is not true. The actual origins are the products of the mind of the creator of the show. But we aren’t interested in cartoon characters. We are interested in real bears. All Christians believe that polar bears are made by God but the question is how did God bring about the origin of the physical bear we identify as the polar bear species today? Take the origins test below and see how your thoughts about polar bear origins fit with your expectations and understanding of each of the most common origins models. Not all the origins models are mutually exclusive rather some form a continuum. Furthermore, many of these origins models may contain self-contradictory components or not have sufficiently developed to the point to even provide an answer to our question of the origin of the polar bear. Additionally, no two advocates of a particular origins model will be in full agreement on every detail. The definitions provided for each model are meant to be as broadly representative of each model as possible. In some cases popular origins models are subdivided into a number of subcategories many of which have not yet gained a colloquial name either because they have not achieved a high level of popularity or they have not sought to distinguish themselves from the larger majority position. Your assigned origins model may not reflect your perceived understanding of origins. This may be because of a lack in consistency in how that origins model understands the origins of different kinds of organisms or it could reflect a lack of familiarity you may have with that model. It could be that your answers would differ if we were asking about the origins of man or your pet cat. In general all origins views are seeking to generate a consistent model that accommodates every question and scenario but the reality is that all origins frameworks have unanswered questions and concerns that may result in inconsistent applications of those models. AoA or Apparent Age isn’t a particular model in the sense that adherents believe that they can find evidence to test the model. Rather it is typically put forward as an ad-hoc explanation that could be used in tandem within any theistic model to avoid apparent contradictions with Biblical interpretation and science. Most often it is an attempt to reconcile a young-earth interpretation of the Genesis narrative with the evidence that the Earth is billions of years old. Within the context of biological origins we could call this apparent age the Appearance of Evolution (AoE). For example, someone might recognize that there is abundant evidence that polar bears and brown bears share a common ancestor but argue that God created both bears separately but with the appearance of shared ancestry just like he created Adam with the appearance—via a belly button—of having had been born from a mother. Advocates: Rev. Al Mohler has supported young-earth creationism but acknowledges that there is much evidence that suggests the Earth is ancient. He attributes this evidence to God creating a world that appears old rather than appearing young despite its actual youthful age. YEC-1 (Classical Creationist model) The polar bear we see today is effectively the same species that God made on the 5th day of creation. Characteristics of the polar bear we currently perceive as adaptations to a fallen world—such as blubber for cold climates, thick white fur for cold and hiding from prey, and physiology adapted for eating meat—are traits that may have 1) (YEC-1a – Classical model), served some other purpose in the (pre-fall) world or possibly had no initial useful function at all. For example, some YECs argue that T. rex teeth were originally used to shred leaves only, but after sin entered the world those same teeth were used to tear flesh. The trait (sharp teeth) didn’t change, only its function changed. Or they may 2) (YEC-1b Post-fall Miraculous Creation) have been similar to today’s polar bears but God supernaturally refashioned the ancestral polar bears with new characteristics that we associate with polar bears alive today after Adam sinned. For example, a YECs might argue that T. rex teeth were originally functionally designed to eat leaves only, but after sin entered the world God supernaturally transformed those teeth, presumably by altering the underlying genetics, to then make teeth that were used to tear flesh. The trait (sharp teeth) changed due to direct intervention as a response to sin entering the world and made necessary because theropod dinosaurs would now have to find a new way to survive in this new world. YEC-2 (Moderate change or Post-Lapsarian Epigenetic Model) God created the first polar bear but it behaved, and maybe looked, different in its original state than it does now. Modern physical and behavioral characteristics of polar bear are adaptive responses to a corrupted world resulting from sin (as a reaction to sin?). God, by design and with foreknowledge of the fall, pre-loaded genetic changeability into the original polar bear “kind” such that it experienced moderate changes in physical features and behavior after Adam sinned. This possibly resulted in some new species to form but mostly it just transformed species that where part of the pre-lapsarian (before the fall/Garden of Eden) world into the species that we observe today. Using our T. rex examples again, it may have originally had smaller teeth used for grinding plant material but after Adam sinned, genes that had not been used before were triggered—possibly as epigenetic responses—to produce larger and sharper teeth in subsequent generations of T. rex. Advocates: George McReady Price?, Randy Guliuzza (ICR) and Henry Morris (ICR) have made similar arguments but the latter also seemed to support the YEC-3 model as well. This model is typically held by non-experts who are skeptical of other YECs that are proposing massive and rapid speciation and so seems to accept too much evolution. A case could be made that YEC-1 and YEC-2 models are quickly fading among the academic YECs but there are probably many non-scientists who believe these models because they make sense and it’s what they grew up hearing. YEC-3 (Young-earth hyper-evolution and/or de-evolution model) God created the ancestor of the modern polar bear but it would not have been recognizable as the bear we see today. That ancestor subsequently “devolved” due to Adam’s sin and/or may have been pre-loaded with genetic programs for future adaptations to become not only the polar bear we see today but also seven other living and more than 100 extinct species of bears. For example: a small plant-eating theropod-type animal was the original created “kind” which then changed into dozens of different species of theropods. Many of these species grew much larger and became carnivores, expressing larger teeth and stronger jaws due to previously-hidden genetic information and degraded genes that were no longer serving their original “good” purposes. Advocates: Some members of each of the primary YEC apologetics organizations (AIG, CMI and ICR) though promoted most strongly among members of AIG as seen in the Ark Encounter theme park. Prominent individuals include: Ken Ham, Nathaniel Jeanson, Todd Wood, Jean Lightner and Kurt Wise. All proponents of old earth creation models accept that the earth is far older than 6000 years. Old earth creationists interpret the creation accounts of Genesis from a number of perspectives. Gap Theory (GT)/Ruin-Restoration Creationism (RRC): The Gap-theory, gap creationism, ruin-restoration creationism or restoration creationism, is a historically popular form of OEC that proposes, like the Young-earth creationism (YEC) position, that Genesis 1 records a literal six-day period of creation. However, gap-theory posits that this six-24-hour-day creation followed a significant gap of time between two distinct creations recorded in the first and second verses of Genesis. It differs from day-age creationism, which posits that the ‘days’ of creation were much longer periods (of thousands or millions of years), and from young Earth creationism does not posit any gap of time between the first verse and the first day of creation and generally holds that the entire universe is very young. Gap-theorists might conclude that the evidence demonstrates that polar bears lived from today back through the six-day creation and into the “gap” period and thus polar bears were part of the initial creation of the world that was re-created or re-organized during the six-day period. Polar Bears would not have common ancestors but have been special creation of God but could have been created 100 to 200 thousand years ago as various methods of dating the earth have suggested. Advocates: Few serious modern theologians or scientists continue to support this view though it carries on in some Christian circles. It was popularized in the early 1800s by Thomas Chalmers. Other noteworthy historical advocate include William Buckland, Edward Hitchock, and Harry Rimmer. Later theologians that continued to promote or at least support the theory include Oral Roberts, Cyrus I. Scofield, Jimmy Swaggart, Arthur Pink, Chuck Missler, Donald Grey Barnhouse, Michael Pearl and Clarence Larkin. Intelligent Design (ID): ID advocates–with a few exceptions–affirm the scientific evidence in support of an ancient earth. ID advocates are best known for their apologetics arguments for the existence of creator—though not necessarily the God of the Bible—from observations of design in nature. They focus on pointing out the intricate designs in biological organisms and claim that those specific traits could only be the product of an intelligent designer. Some ID advocates believe that some species might form by natural means from a specially designed common ancestor but usually they consider each species the product of an intelligent designer. For example, one author influenced by ID literature writes about a common species of shorebird, the killdeer, and its adaptations for protecting their young state: “It is a smart trick and species-specific, which means it is in her genes and she does it by instinct.” He then goes on to say that this programming of genes could only be done by a designer. It is often left unstated when, how or why this design was done. With respect to our polar bear, ID advocates accept that the earth is billions of years old and accept methods of dating the fossil record and therefore would accept that polar bears first appeared over 100,000 years ago. Some might say that an intelligent designer created the first bears well before this and that the polar bear is the product of microevolution processes acting to adapt that bear into the various forms (species) that we observe today. Essentially, since that first bears creation the description of the origin of subsequent bears may be indistinguishable from explanations that EC or TEs may provide. Other ID advocates may appeal to direct design activity in the creation of polar bears themselves. An important caveat: Because of their more philosophical and originally neutral position on religion, ID is very difficult to define or has not set position on questions like the origins of species. How much speciation do they accept? Apparently it varies depending on the ID advocate you may interact with (eg. well-known ID proponent Dr. Paul Nelson is a young-earth advocate who accepts rapid speciation within “kinds” while another well-known proponent of ID, Dr. Michael Behe, accepts common ancestry of most if not all living things but insists that certain mutations leading to speciation events would have to have been “intelligently designed”). Which features of the polar bear are “designed” and which could result from natural processes? Again, this is not clear? Was a polar bear literally born of a mother than was not a polar bear with new designs created in the process of embryo development? Was the whole first polar bear (and presumably two—the “Adam and Eve” polar bears) created supernaturally from a bear template but not physically born of another bear? These are open questions but the ID advocate will insist that a creator (not necessarily the God of the Bible) was involved in the making of either the original bear “kind” or each species such as the polar bear or in ways that can’t be described by measurable natural processes. Advocates: Discovery Institute, Stephen Meyer, Paul Nelson, Michael Behe, Douglas Axe. Progressive Creationism/Day-Age Creationism. Progressive creationism advocates believe God created new forms of life gradually over a period of hundreds of millions of years. It accepts mainstream geological and cosmological estimates for the age of the Earth. In this view God created new organisms at key moments in the history of life in which all “kinds” or species (see PC-1 and PC-2 below) of plants and animals appear in stages lasting millions of years. These key moments represent instances of God creating new types of organisms by divine intervention. All PCs hold that species or “kinds” do not gradually appear by the steady transformation of its ancestors; [but] appear all at once and “fully formed.” PC may or may not fully overlap with Day-Age creationism in which the days recorded in Genesis 1 are considered to be long-ages corresponding to the great ages of Earth’s history. With respect to polar bears the PC may believe God created an ancestral bear kind or, possibly more specifically, the original brown bear and that common ancestor (primordial type?) had the capacity to adapt—genetic parameters designed by God—into many species including the polar bear that we observe today. However, the first bear “kind” was created fully formed apart from any animal ancestor. PC-1 (Progressive creation typically at the taxonomic level of species) God specially created all (or most) species–no common ancestry except within “species.” For example domestic dogs were not specially created but are a variation of wolves and were adapted via natural processes from a wolf ancestor. This is the historical PC view which is a held by those who accept the evidence of an old earth but reject evolution as a process capable of generating new species and higher taxonomic categories. This view is uncommon today except among lay Christians and pastors who are not aware of the evidence that most PCs not agree doesn’t support this origins models. PC-2 (Progressive creation of “kinds” usually equivalent to the taxonomic category of family) God specially created “kinds” of organisms at various intervals throughout Earth’s history. Those kinds were created with the capacity to adapt to their environment including speciation within some limits. Speciation within “kinds” occurs similar to that of the YEC-3 hyper-evolution model except that this speciation process occurs at speeds consistent with measured rates of changes—mutation rates, natural selection and genetic drift—observed today. Evolutionary Creationism (EC): ECs believe that an intelligent God designed the universe, but do not see scientific or biblical reasons to prevent pursuing natural explanations for how God governs natural phenomena as part of that creative process. Scientific explanations are seen as complementing a theological understanding of God’s role as designer, creator, and sustainer of the universe. The EC position would recognize common scientific consensus that polar bears are related by common ancestry to other bears (and indeed, other caniforms, carnivorans, mammals, amniotes, etc.). At some point, probably more than 100,000 years ago, the polar bear likely diverged via mechanisms described by evolutionary biologists as natural selection, genetic drift and mutations from a brown bear ancestor to become a unique species. God did not, though was free to do so, act to suspend his normal providence or means of action in the world to create the polar bear but used those divinely appointed mechanisms to form this new species. While agreeing that God is the ultimate designer and governor of creation, within the EC model there are a number of different views about the exact nature of God’s mode of action and knowledge or foreknowledge of future biological change. Below we briefly outline just two divergent perspectives within EC but there are a myriad of views that fall on a continuum between these though all affirm that God’s creative power could be expressed through an evolutionary process. EC-1 (Full Sovereignty EC) God is intimately involved in the creation process and in control of all events in history. In the case of the polar bear, each polar bear alive today is and was part of God’s divine plan and EC is simply our best attempt to describe how God has achieved that plan. EC-2 (Open Theism EC) God established the rules by which the physical world works and maintains an active interest in the world but hasn’t fore-ordained the future but rather allows the world to operate but doesn’t know or act directly in all circumstances. Theistic Evolution (TE): TE isn’t identified as one of the endpoints of the key. It encompasses a range of views that regard a biblical understanding of God as compatible with modern scientific understanding about biological evolution. For this key, I am treating the term as being synonymous with EC but recognize that some might feel that EC is more limited in its range than TE. It is difficult to parse the continuum of views of TE. One might call EC a subset of TE but some might simply say that EC has become the preferred term for what had been TE. Many who once called themselves TE now prefer the label EC and so TE has, in some minds—including mine—been subsumed by EC. However, we could make the general observation that the term “theistic evolutionist” today is often used more often by its detractors in a pejorative ways to imply that TEs are no different than deists which believe that God was the first cause for the creation of the universe but after creating the universe He no longer has any direct involvement with it. © The Polar Bear Test, Version 1.4 Oct 9, 2018. I welcome suggestions for revisions to the key and descriptions of theistic models of origins. I have attempted to present a neutral case for each position but acknowledge that I may not fully appreciate the nuances of each model. Editing provided by MC and LC. Thank you to several friends who provided feedback on early versions. « God’s Knitting Needles Revealed in the Creation of Mike Trout? This is an impressive amount of work! It was informative and brought back a fond nostalgia for the “Choose Your Own Adventure” books of my youth. Ah, yes. I thought of that too as I was working on it. But the big question is: did you end up where you feel you ought to be? I’ve had several friends who felt like they ended up in unexpected places. That could be either the result of a key that doesn’t make the choices clear enough (a very real possibility as any who has ever used a tree-finder key will know) or the person taking the test doesn’t really understand their own position. I expect that if you didn’t end up where you expected that it would be a problem with the former. I don’t know that the original is all that unclear. Like I said, I’m still a little groggy and I did get it after a couple of rereads. Thanks for the suggestions. I’ll take look at that and probably make some changes there. BTW, I started with a key with single statements rather than multiple statements for each choice but it quickly spiraled out of control. It already feels a bit long and any longer and many would lose focus. So each word is critical and I expect I will have to make many changes. I had imagined an on-line quizlet format which would be more accessible but didn’t feel it was in my skill set to do so. I was actually hoping someone might be interested in giving that a shot so feel free to do so. Might want to give it some time to percolate in case some revisions need to be made to make it better. PS. I made the change to your wording. Thanks. Excellent. Yes, this is what is needed. My two choices are to stark and more than one person has said they fall between the two. I’ll work on adding this. Maybe you could explain exactly how god created the polar bear in any model? Does he have a genetic engineering lab where he worked on brown bears? Selective breeding? Did he speak a spell and a new DNA sequence was created out of the dust of the earth? You may think this mean or insulting, but so long as no one is allowed to ask the question, how did god do it?, how can you even think about creation (I don’t mean how can you bring your self to, but how can you think about it, in the same way you can’t think about storms without thinking about their being caused by the sun’s heat). Can you point to any physical evidence that supports any hypothesis of divine creation? This is a key perspective that many people fail to see. God “designing” or “creating” something is kind of an empty claim unless you can propose how it was done on physical terms. This is even more important in the common YEC claim that every biological organism was changed at the fundamental, genetic level because of the (theologically dubious) Fall. How did this change happen? Who did it, using what tools and equipment? What evidence is there of this process? Question: I just read a book that had a lot of material about “Horizontal Gene Transfer.” Is that different from “Genetic Drift” or just a different name for the same thing? Hi. These are different concepts. Genetic drift is the idea that the frequency of some alleles (usually neutral ones) passed from one generation to another changes over time via chance differences in reproduction. For example, if there are only 10 members of a species and five have blue flower and 5 have read flowers and a cow comes by and eats three of the blue flowers because they were close to the fence then there will be more red flowered plants probably making seeds to make more red-flowered plants so the next generation will have a greater percentage of red flowers. This isn’t natural selection but rather we call this random genetic drift. Chance effects can result in changes in populations over time. But these changes are passed down vertically over generations. Horizontal Gene Transfer refers to genes or genetic information being transferred from one individual to another living at the same time. If there were some way that the red flower gene could transfer itself to the blue flowered plants and replace the blue-flower gene making the plant have red flowers, this would be horizontal gene transfer. “The polar bear, pictured above, is nearly functionally and visually the same as the first polar bear. 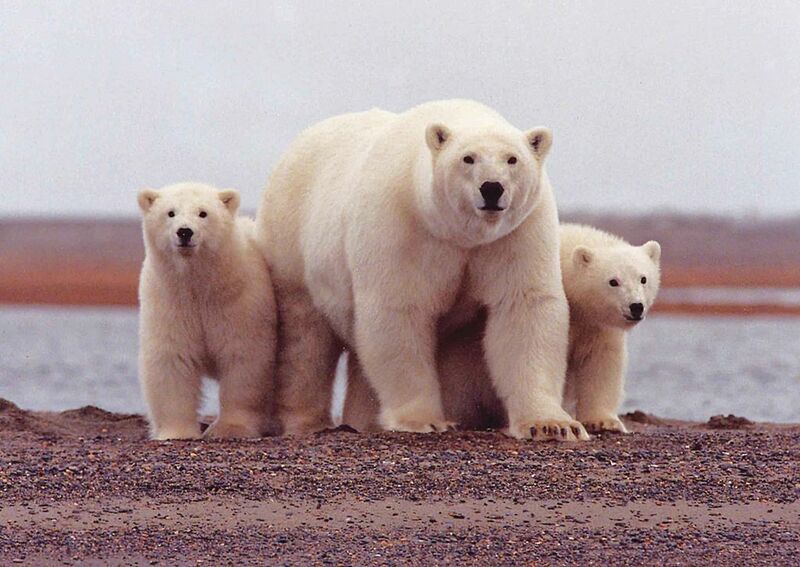 That first polar bear did not descend from a common ancestor with any other species. ” It might be clearer to say “nearly functionally and visually the same as its first ancestor”. Coming from an evolutionary perspective, one might assert that modern polar bears are nearly functionally and visually the same as the first polar bear, as “first polar bear” could be read to mean “first one having the functions and characters of modern polar bears”. Once I figured out what that was getting at, I did find the classification of my views to be accurate. Thanks, good suggestion. I will make that change. A good way to track logically from one position to the next. I shared this at Peaceful Science. Nice, impressive work. For transparency, I’m a former evangelical and current MD with an MS in ecological entomology and BS in biology. Of course, most people would look at all this – extensive classification – and appropriately deduce that they can’t be all right but they can be all wrong. Occam’s Razor? True science tends to converge on truths whereas theology diverges (look at all the gods people have worshiped; all the Christian sects – 40,000 now?). Anyway, my interest as a scientist should be to do what science does – rarely proves but is good at disproving. So, aren’t people interested in knowing how to cut through this extensive list of origin narratives to find one that may be the real one? IMO science has progressed to the point of being able to rule out most origin narrative attempts at accommodating science and Genesis. I posit that the evidence for evolution, “macroevolution”, is so strong now that the only viable explanation available to Christians is EC. What evidence is today’s “Galileo Moment” for modern Christians? It’s the new DNA evidence – shared ERVs, LTRs, and pseudogenes. It’s just a fact now that humans evolved from a common ancestor with chimps, and we and chimps shared a common ancestor with ,other apes, etc. And when we look at whales, we have four independent lines of evidence including DNA protein sequences, olfactory pseudogenes, transitional fossils, transposon data, atavisms, etc. The DI is now reduced to just saying it happened too fast for them. For YECs, try and explain Hawaii’s geology and endemic biota without people laughing. My point is that any Genesis origin narrative that does not include “macroevolution” is no longer viable. EC is the only origin narrative that is tenable for Christians now because any that do not include Evolution have been falsified. What about EC? It does fit science but IMO fits scriptures poorly. In addition, if God used evolution and natural selection to create species, or allowed it after starting it, that makes God incompetent due to all the waste and extinctions (99.99% of all species now extinct), indifferent because He looks down at all the death and suffering in terms of the creation process and does nothing, or malevolent because He enjoys it. Remember that for evolution to operate in EC, lots and lots of offspring are born as variation for natural selection to work on. Death and collateral suffering is integral for evolution to work. It’s not an anomaly; it’s integral to the creative process of natural selection. That death is not only natural from the beginning but also is absolutely necessary for the creation of species would seem to be incompatible in Christianity at its very core. Conclusion – I see no viable Genesis origin narrative for Christians. Ever. Sorry for the long post. Thanks for letting me put this out (hopefully). If my synthesis of the situation is erroneous, please let me know why. Origins count; we build our world views on them and derive our meaning, purpose and ethics from them.